Apparently they're serving Totties at the state capitol too. Since there’s obviously nothing else pressing in Mississippi politics right now… (How’s that education coming? Still #50?) 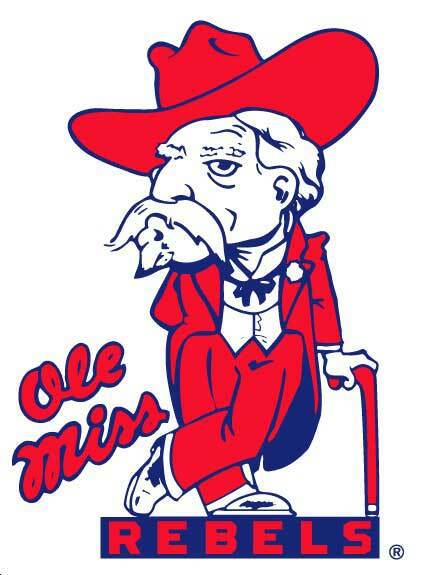 … a politician in the land of former Razorback coaches is proposing a bill that would force the University of Mississippi to use Col. Reb as its official mascot. Oh and while they’re at it, the band is required to play “Dixie” during both football and basketball games. I cannot believe we here at BH spent so much e-ink on trying to get those crazy Rebel fans to go for Land Shark… just to have some agenda-minded legislator screw it all up with… bills and acts and whatnot.